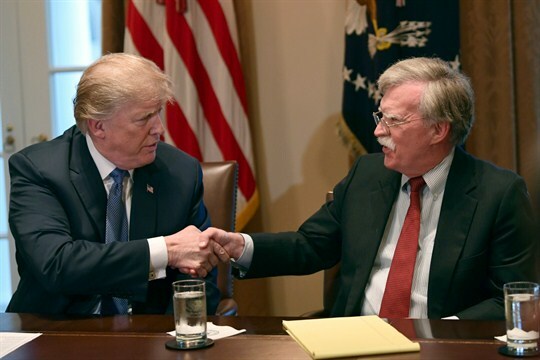 President Donald Trump and John Bolton, the national security adviser, in the Cabinet Room of the White House, Washington, April 9, 2018 (AP photo by Susan Walsh). Recent American history is full of mistakes in security policy, and yet for some reason, policymakers in Washington are chronically bad at learning from them. Too often, the United States is burned by a deeply flawed policy in some part of the world and resists repeating it for a few years, only to later try the same thing somewhere else. This propensity to forget strategic lessons may be infecting the Trump administration today.